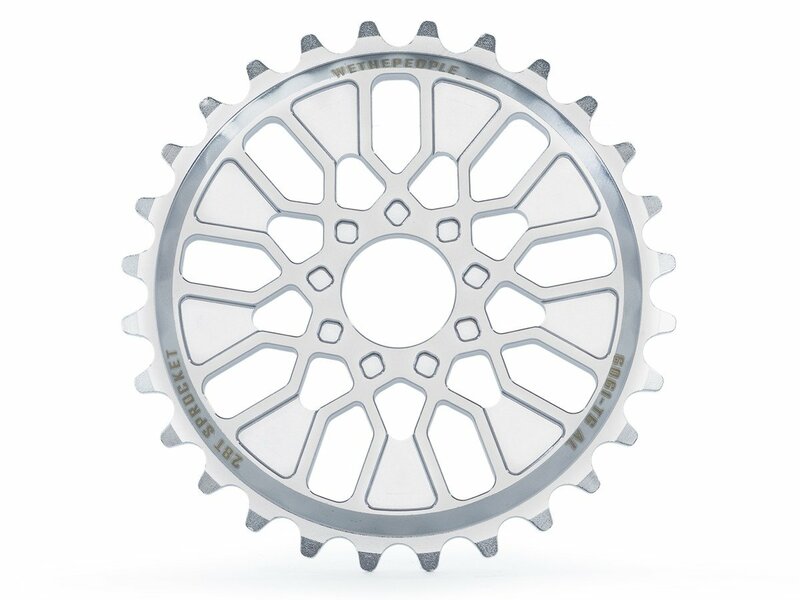 This wethepeople "Pathfinder" Sprocket is the signature sprocket of BMX Pro Felix Prangenberg and is because of its width and design very solid. 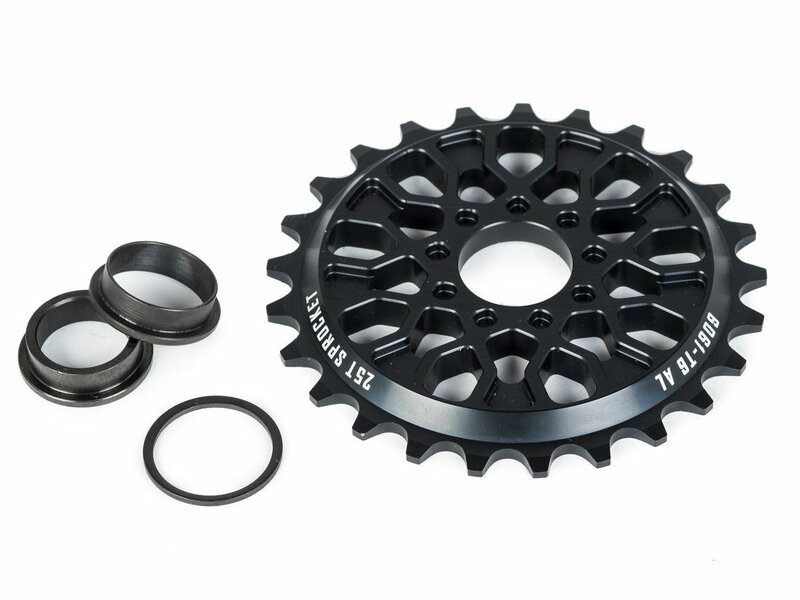 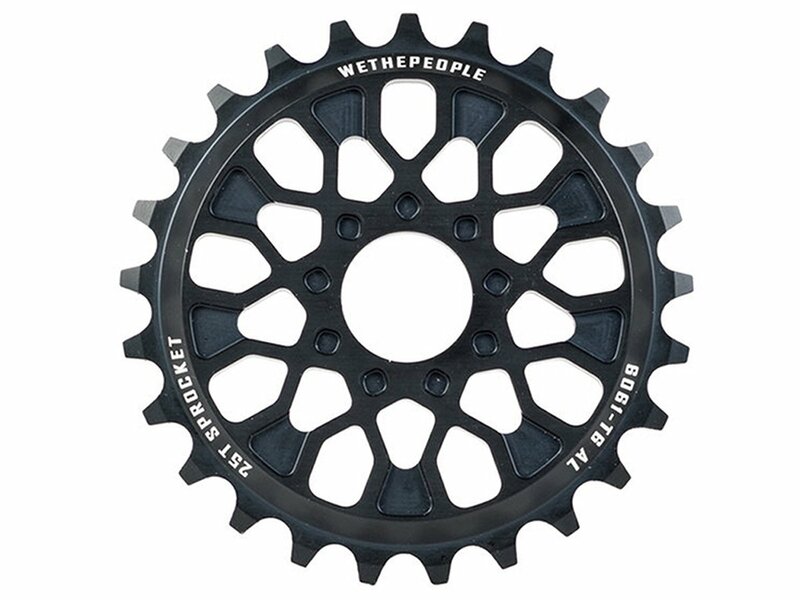 The wethepeople "Pathfinder" Sprocket is made of high quality CNC machined 6061-T6 aluminum and can be utilized by the supplied adapter rings with either 19mm, 22mm and 24mm crank spindles. 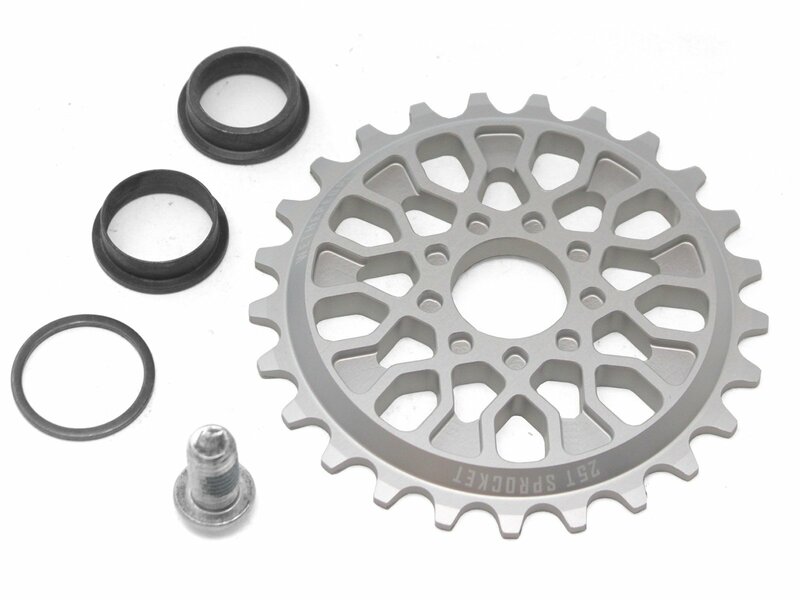 The nine holes for a regular sprocket bolt recording allow you to fix this wethepeople "Pathfinder" Sprocket on your right but also on the left side crank arm.